Uttarakhand votes for its 71-member assembly on February 15. Rawat, who is leading the Congress in the polls and faces stiff competition from the BJP. 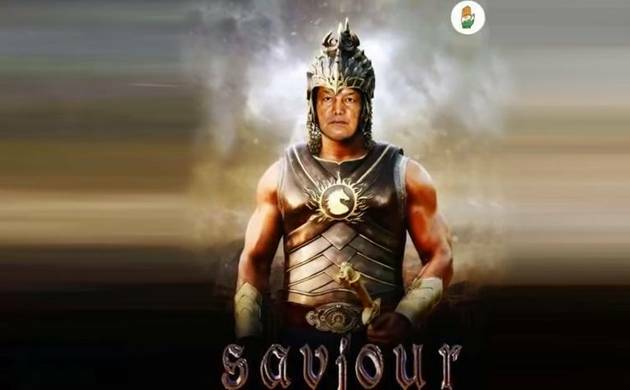 A video showing Uttarakhand CM Harish Rawat as Baahubali saving Uttarakhand has gone viral on social media. In the video, Rawat had been dubbed as Baahubali who holds and acts as the saviour of Uttarakhand as PM Modi and Amit Shah watch on. Last year, 10 Congress MLA's turned rebellion and created political crisis for Harish Rawat and Congress in Uttarakhand. However CM Rawat, the lone crusader survived the crisis and is set to challenge the incumbency factor in the upcoming assembly polls. Uttarakhand Chief Minister Harish Rawat had hit ou at the Narendra Modi government accusing it of meting out “step-motherly treatment” to the state and asked it to immediately approve the proposed zonal plan for Bhagirathi eco-sensitive zone (ESZ). However, when asked about the viral video, CM Rawat said that he had no knowledge of the video and his party is not aware of it.